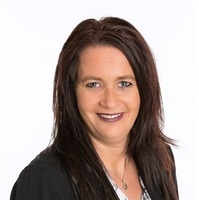 Sarah provides her clients with effective advice on retirement plan options for individuals and develops strong business relationships with individuals who need retirement planning advice. She can suggest new ideas for solutions and service development within a company, as well as research financial issues and recommend new retirement program options for her clients. Sarah joined the team in 1999 and is a graduate of Cannon Trust School. Outside of work Sarah is actively involved in the community, serving on the Midland Community School District’s Board of Education, leader of the Wyoming Pioneer’s 4-H Club, Midland FFA Alumni member, and helping with the Midland Girls Basketball program. Sarah’s husband Scott, works for John Deere and together as a family they farm. Her son Cole, and daughter Hannah are active with farming and livestock and participate in many 4-H and FFA related activities such as showing livestock and community service projects.